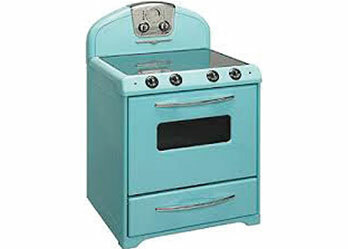 Get all the character you want, plus the modern conveniences, with an antique or retro stove from East Texas Brick where we carry Elmira’s Retro and Northstar lines—the gold standard for charm and quality. Whatever style or time period you're going for in your kitchen, including a stove from Elmira's Antique line will make it spectacular. 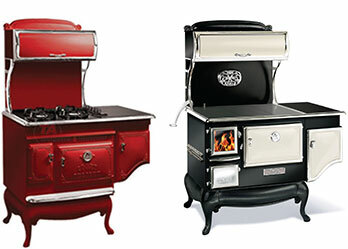 Fully customizable, each Elmira Antique Stove is crafted to your specifications. Our ranges offer several hundred combinations of styles, colors and features—just pick the model, color, options and accents that suit your taste and cooking needs. The Northstar line is known for its stunning colors and nostalgic appeal, but Northstar isn't just for the retro kitchen. The brilliant colors and design will make a contemporary, modern or arts-and-crafts kitchen truly one-of-a-kind. And, with options like 15,000 BTU gas "Superburners", 2500-watt highspeed radiant elements, true convection ovens and large warmers, Northstar ranges are the epitome of style and performance.